Blood Privilege was commissioned by Second Skin Theatre Company of London, England. Productions. It was produced at the Richmond Shepard Theatre in New York City in February, 2013, and at the White Rabbit Cocktail Club in London in March, 2013, where it broke the theater’s box office record. It’s scheduled for a production at Theater Company of Lafayette, Colorado, in March, 2017. 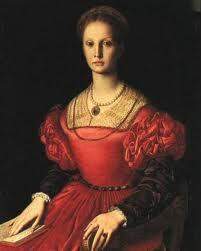 Elizabeth Bathory is a beautiful young Hungarian/Slovakian noblewoman who was born during the last years of the 16th century. When her parents die, the king assigns her progressive cousin, Count Cuyorgy Thurzo, responsibility for her education and upbringing. However, she is impregnated by a peasant, and the King removes Elizabeth from Thurzo’s care and marries her to the brutal soldier Count Ferenc Nadasdy, with instructions for Nadasdy to train her in the appropriate behavior of Hungarian nobility. Appropriate behavior, in this case, includes exercising draconian discipline over the serfs belonging to the estates under her control. While Nadasdy is away during prolonged wars with the Turks, Elizabeth becomes a capable manager, but she also becomes increasingly addicted to the power of her position and the brutality with which she can exercise it. When Nadasdy returns during a lull in the fighting, Elizabeth refuses to cede control of their properties. The struggle escalates, and she has him murdered. Now a powerful and independent noblewoman, Elizabeth accumulates a retinue of sycophantic charlatans anxious to capitalize on her wealth. She becomes obsessed with trying to retain her youth and beauty, and is eventually accused of beautification rituals involving the sexual torture and murder of a large number of young women. The King, under increasing pressure from a population which has had enough of this sort of treatment, is finally forced away from the nobility’s long-standing position of defending such actions as being within its rights and prosecutes Elizabeth as a scapegoat. At the same time, he attempts to seize her wealth for personal gain. At the end, Elizabeth is convicted and walled up in a room in her castle, where she lives out the final years of her life. 4 Responses to "Blood Privilege"
I’m delighted you liked it. No, there was nothing in my research that indicated a romantic relationship between Elizabeth and Thurzo. On the other hand, the history of her early life is sparsely documented and inconsistent. An important thing for a playwright working on historically-based material to do is to fill in the blanks with things that are dramatic and don’t conflict with any of the known facts. If you stick too closely to what’s known, then it tends to be boring. My play “Shakespeare Incorporated,” which is about the Shakespeare conspiracy theories — who really wrote the works attributed to him — takes that a step further. It’s ridiculous, 3/4 of the way to a farce, but it’s also historically possible.